The industry and field of banking is a highly technical field. The employees who would like to create a career and possibly a positive mark in the particular industry needs to have specific qualifications and expertise that are usable in the field. 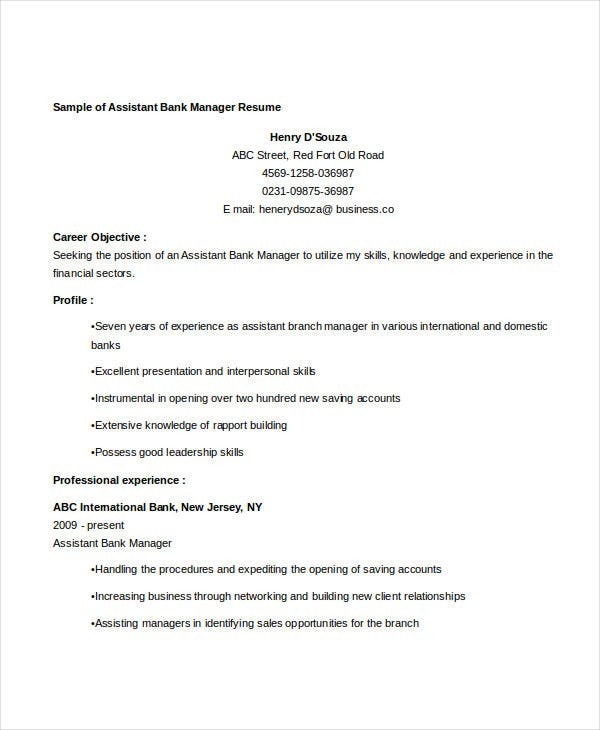 Either you are an employee who would like to have a career advancement in the banking industry or an entry-level applicant seeking employment in the same field, it is very important for you to highlight your strengths and abilities that can be considered as adding value to the bank that you want to be a part of as an employee. 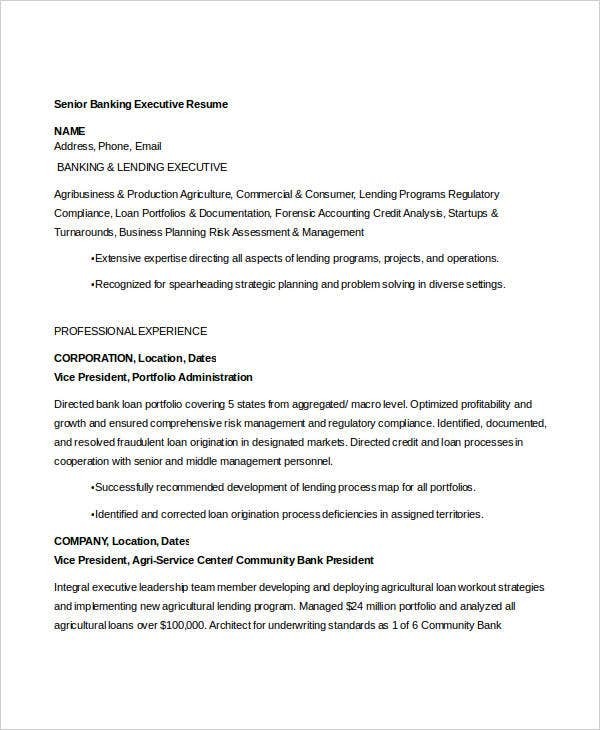 If you are applying for a specific banking position, you need to be able to assess your skills and how they can be of help to your application. It is essential for you to properly place the details that can help you to be considered for an interview. 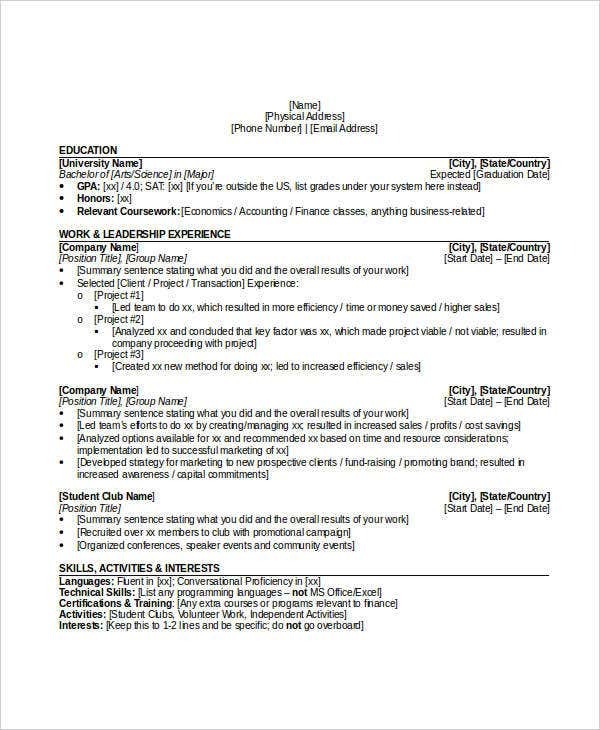 It is also very crucial for you to include the information that is needed for the job which is the reason why intensive research about the job position that you are targeting is highly suggested. 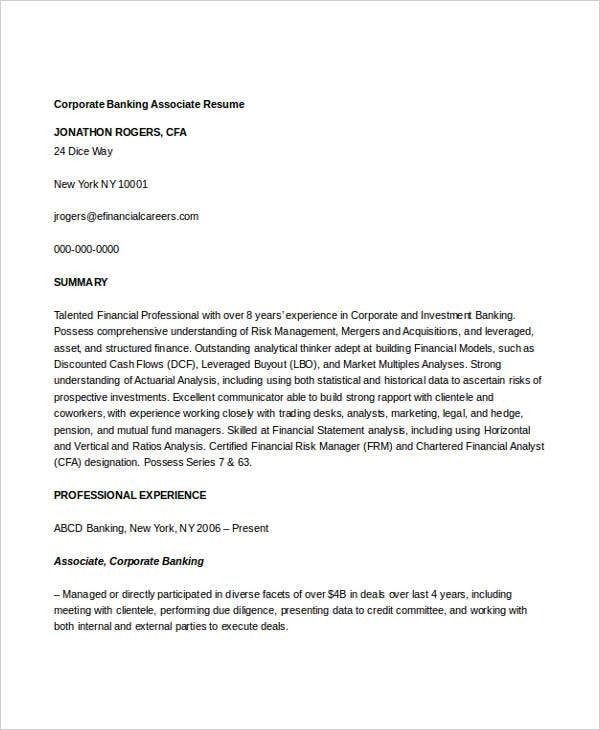 Once you are already aware of all these things, creating a Banking Resume is the next thing to do so you can already start passing it to your prospective employers. Assure that you will include smart goal of attaining success in the industry. 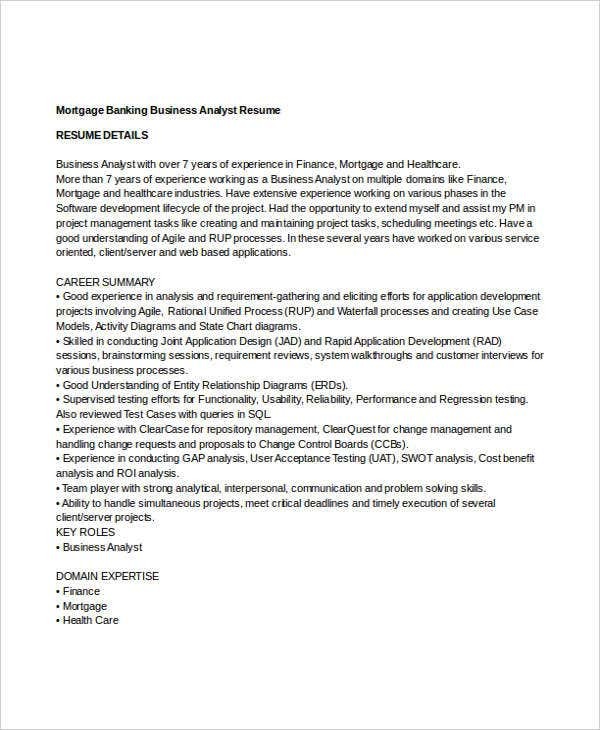 Since there are a lot of position levels available in various banking processes, it will be better if you will state that you would like to grow professionally while helping the business grow as well. 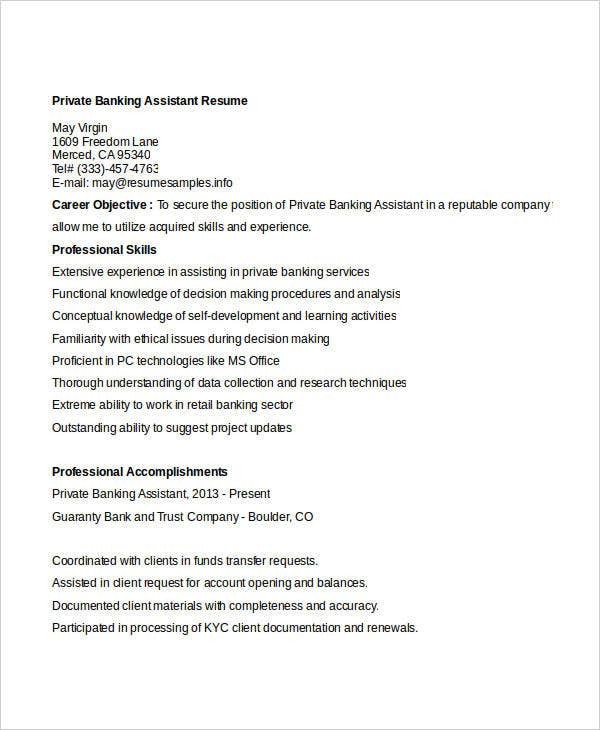 Identify the banking processes that you are comfortable in doing especially if it is directly related to the banking job position that you are applying for. 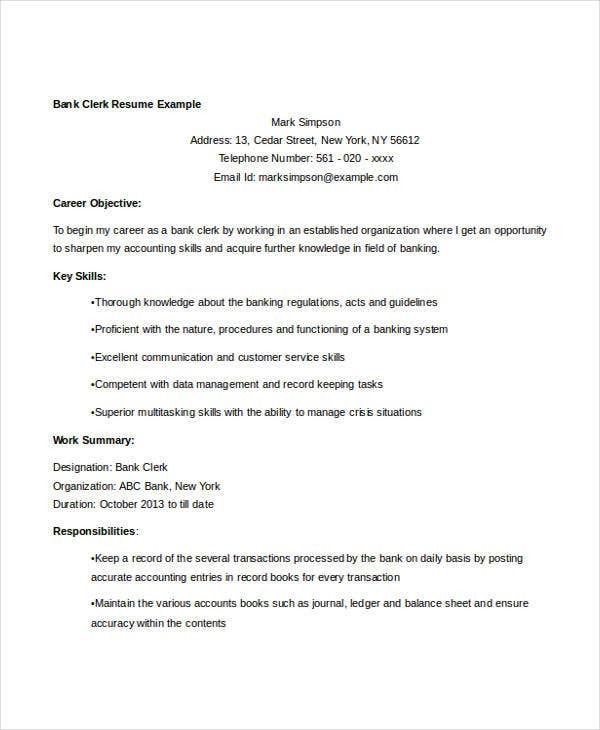 It will also be helpful to write your abilities and skills that are applicable to the banking industry. Be aware of the needs of the job position and assure that your objective can highlight your attributes that are aligned with the needs of the business. 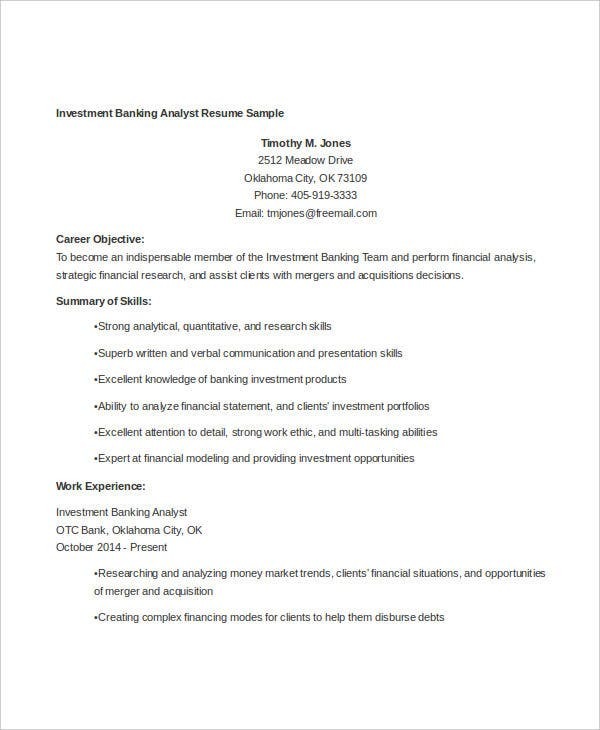 This will help you to create a positive impact regarding your ability to do the job functions that will be assigned to you should you be hired for a particular banking job post. The professional banking achievements of the person are very helpful. This will make the employer have a preview of the qualities of the individual and how the applicant is hungry for excellence. This will also make them know that the applicant can surpass their expectations in terms of work implementation. The achievements of the individual in the field will allow the company to trust the individual a position in the business. In the field of banking, a few of the professional milestones that a person may get include receiving the highest returns on loan in a specific time duration, getting commendations in providing great customer service, and improving the operations and client transactions of a specific bank. 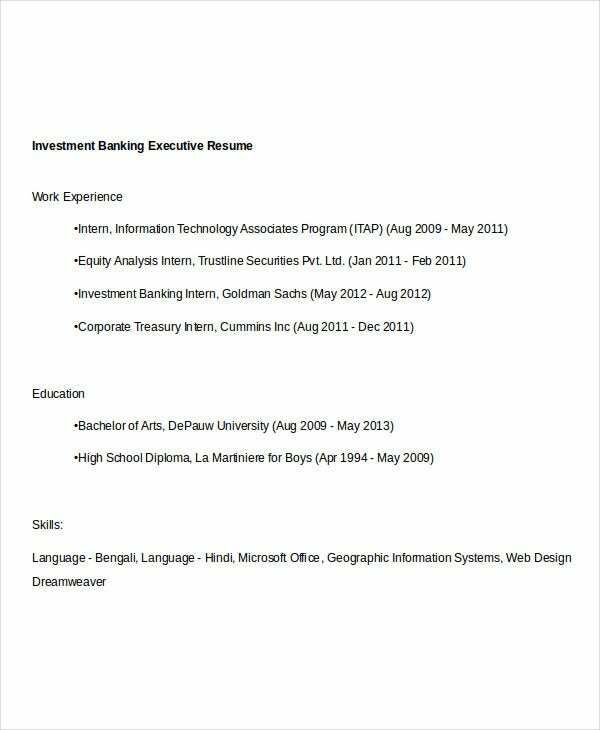 Aside from our samples of banking resume templates, you may also be interested to browse through and download our samples of Administrative Resume and Business Resume templates. 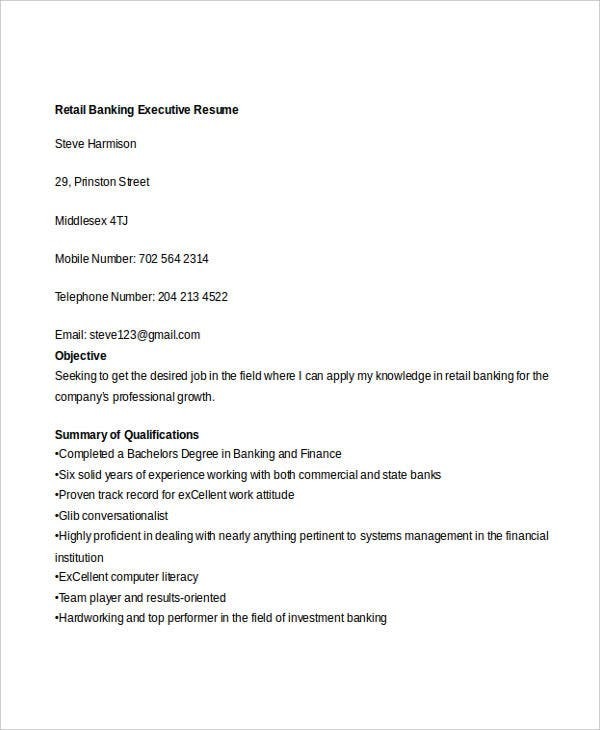 The applicant needs to have an exceptional motivational and leadership skills that can be applied for banking job positions especially if he or she will be hired either as a bank Supervisor or Manager. 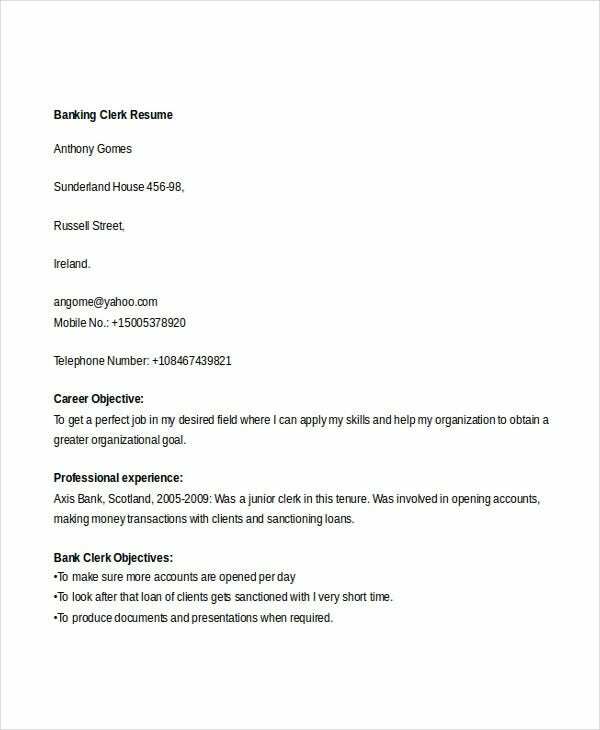 The banking job applicant should have excellent communication skills as it is very much needed in different banking processes and procedures. 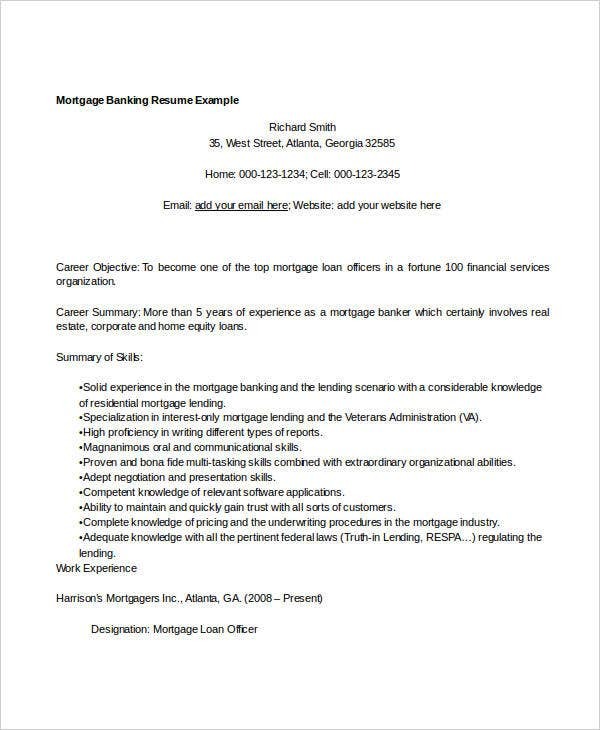 Banks hire applicants that are usually great both in written and verbal communications as there are various mediums and platforms that will be used for the processes that the bank will execute and implement for its clients. Because of various bank transactions that include outside sources and client inquiries, an applicant in the banking industry must be reliable, resilient, and patient. 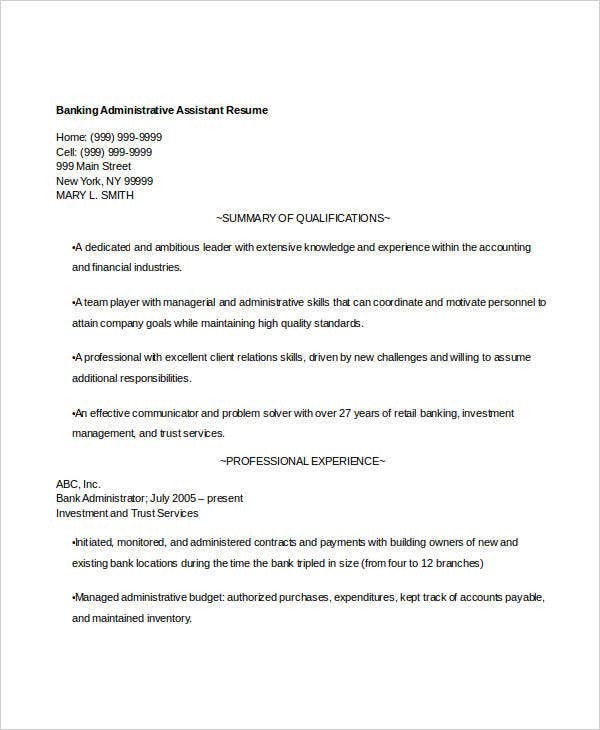 Moreover, a banking job applicant should know the responsibilities that s/he is tasked to do and s/he should be more than willing to excel in the areas where he or she will be assigned. 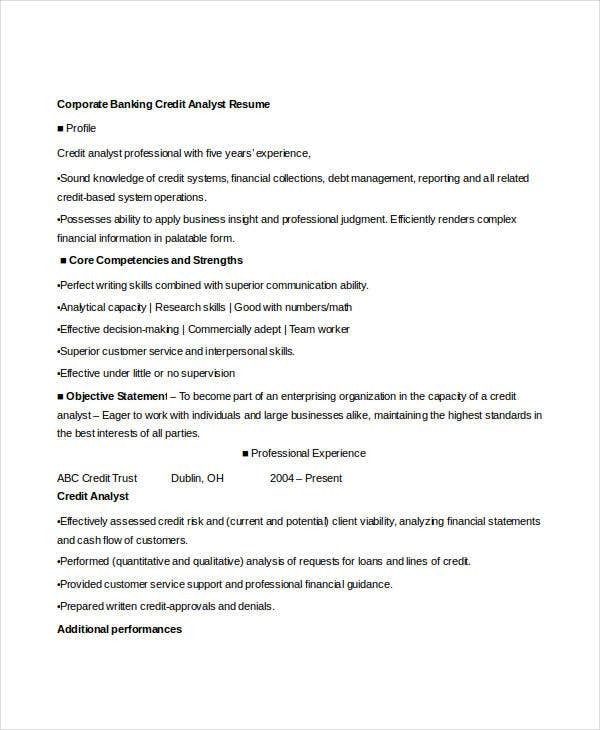 The applicant should also have the ability to make a strong relationship with the clients of the bank. S/he should be able to promote client retention as bank loyalty helps a lot in the operations and business foundation of banks. 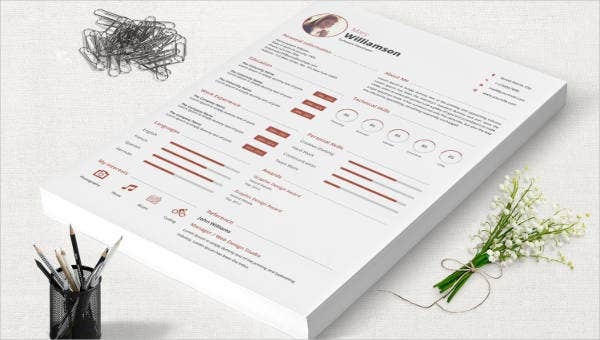 Other than our samples of banking resume templates, our samples of Marketing Resumes and Professional Fresher Resumes are also available for download. Handle client transactions that are related to the offers of the bank. Assure that the plans and offers of the bank are properly introduced and that all the information are accurate and ready for implementation. Create work plans to ensure the quality of the bank services offered to loyal clients and new bank customers. Make sure that the bank area where the employee is stationed is always available so that clients will have someone to talk to for particular bank services that they want to acquire or be a part of. Prepare, document and record the bank plans for giving and providing loans. Moreover, assure that receiving the interest to and from various organizations are properly executed. Assure that the customers are satisfied with the bank services and the client help program being implemented in the bank that is offered to them. 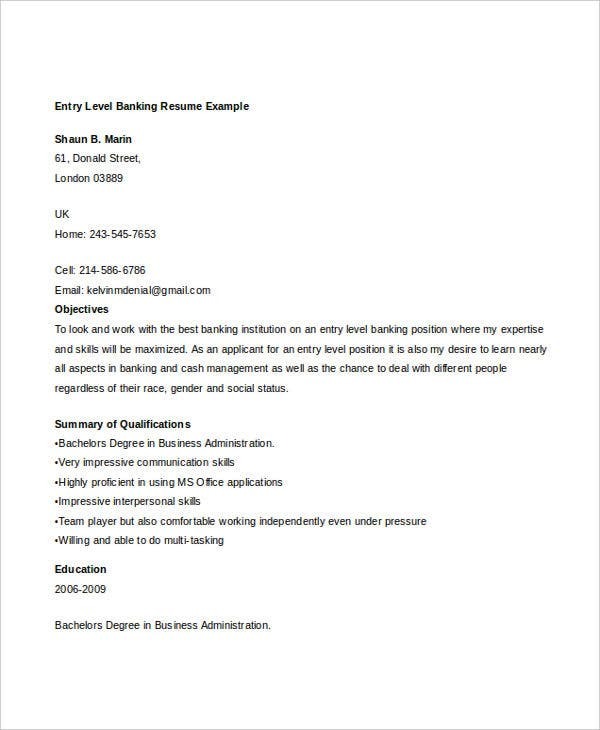 It is very important for an applicant to be aware of this information as the basics of the business will help him / her prepare and easily adjust in the major job functions that s/he will be tasked to do in the banking industry. 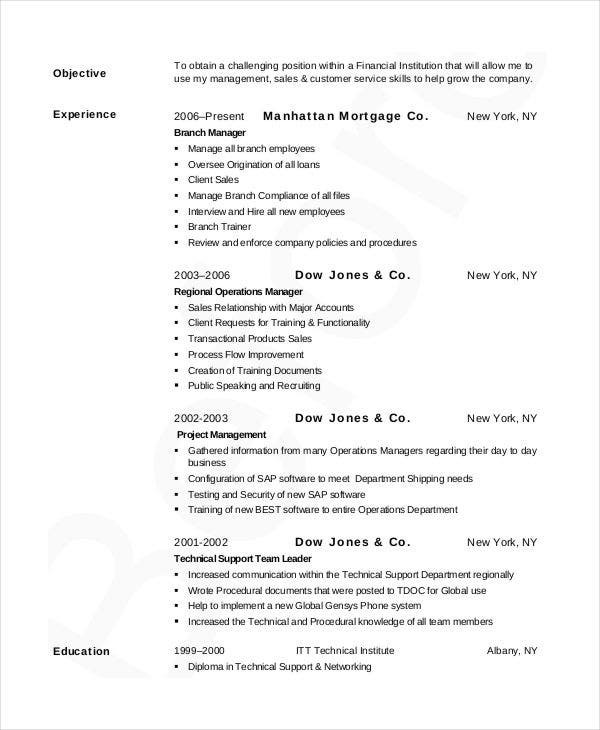 This is the reason why an applicant needs to have careful considerations regarding the items that s/he will include in his / her resume. 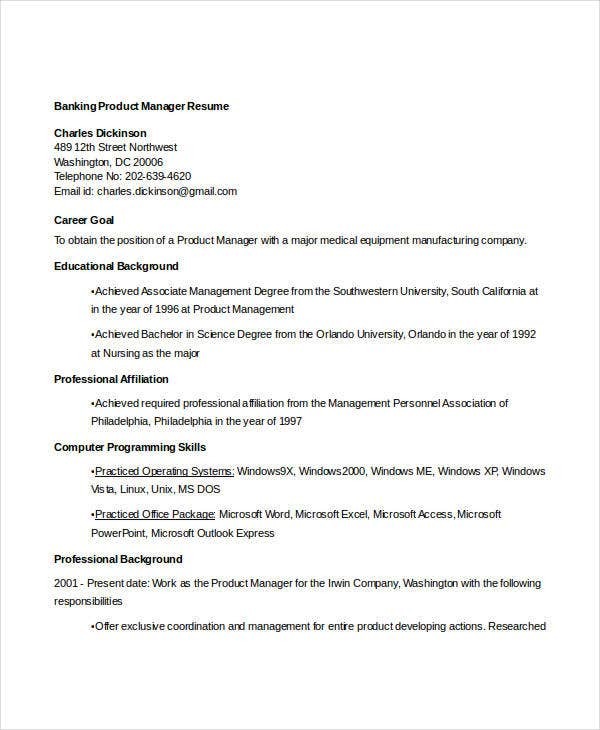 The resume inclusions present in the professional profile of the applicant should be directly related to the specific position that s/he is applying for. 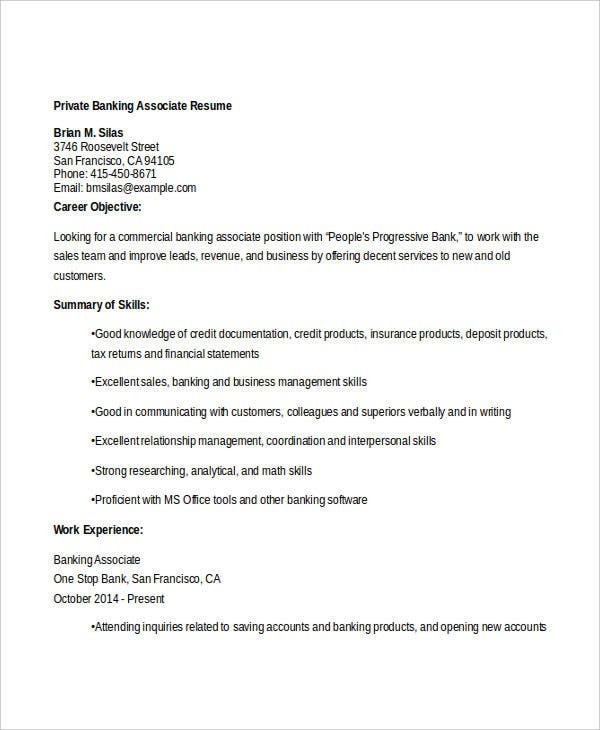 Assuring that the professional banking resume will provide an advantageous presentation of the applicant’s industry credentials will provide higher chances of being interviewed and possibly be offered a banking job position. 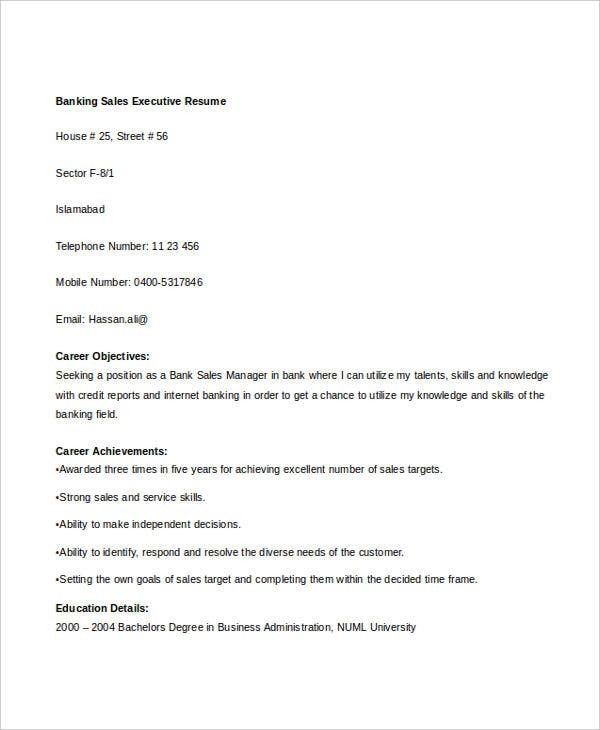 If you think that you are already aware of the processes in creating a banking resume, you may also be interested to download our samples of Fresher Lecturer Resume and IT Resume Templates for additional knowledge in other types of resumes.